Coverage: Live on BBC TV, HD, Radio and Red Button with up to 15 live match streams on Connected TVs, desktop, tablets, mobiles and sport app. 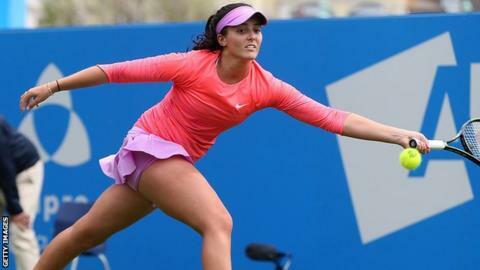 Britain's Laura Robson has been given a wildcard for Wimbledon after making her return from a 17-month injury lay-off. The 21-year-old played her first match since the 2014 Australia Open on Saturday, losing 6-0 6-1 to Daria Gavrilova in qualifying at Eastbourne. Robson has been troubled by a wrist injury and last appeared at Wimbledon in 2013, going out in the fourth round. British number five Brydan Klein was handed an entry into the men's main draw on Friday. Robson, who reached a career-high ranking of 27 in 2013, had rejected an invitation to play at the Aegon Classic in Birmingham and was not included in the first set of wildcards released by Wimbledon. Qualifying at the All England Club begins this week, before the main draw gets under way on Monday, 29 June. For a full list of wildcards click here.